Kazakh-born violinist Aisha Orazbayeva and London & Berlin-based pianist Joseph Houston first came together in 2015 to perform a recital of music by Morton Feldman, Christian Wolff and John Cage in Europe, UK and the USA, now they have commissioned a new piece from Christian Wolff. They worked with Wolff at the Orpheus Institute Ghent, Belgium. At Kammer Klang at Cafe Oto on Tuesday 3 May 2016, the duo will give the premiere of Wolff's Wade in the Water, plus Wolff's 1964 classic For 1, 2, 3, 4 People. 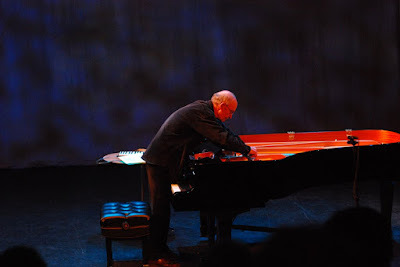 French-born to German parents and now an American citizen, Christian Wolff (born 1934) studied with John Cage and became a close associate of Cage and his artistic circle, which included the fellow composers Earle Brown and Morton Feldman, the pianist David Tudor, and the dancer and choreographer Merce Cunningham.